Designer sarees are one of the recent trends, in India as well as the international market, which has taken the fashion industry by storm. They have become extremely popular and sales have been skyrocketing in the recent years after leading heroines in movies and models on ramps have been spotted wearing them. Designer sarees are available in number of styles and designs in various materials like Chiffon, Georgette and crepe. These easy to wear sarees have given a modern avatar to the traditional Indian attire. Huge collections of these types of sarees are available in stores and their demand is constantly increasing. Embellished with different types of work like embroidery, sequins work, zardosi work and patchwork, they have not only reformed style but innovatively conquered over different types of materials too! 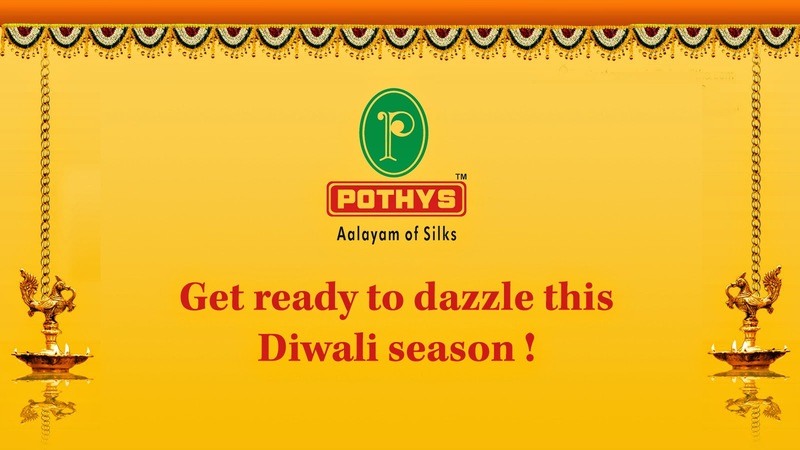 Pothys’ mesmerizing collection of Tina designer sarees is a ravishing sight to behold. Draped around you, these half and half sarees are masterpieces that will make you sparkle this Diwali season. Celebrate Diwali In Leela Fancy Sarees!